Every year I have the best intentions to add cute gift tags to my Christmas gifts but never get around to it. I end up having to remember who's gift is who's by the shape. 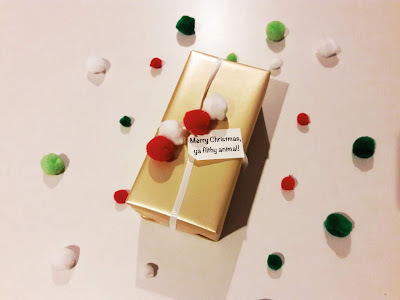 That will not be the case this year as I finally have gift tags. One of my favorite parts of the holidays is snuggling up and watching Christmas movies. Certain movies tend to remind me of certain people. 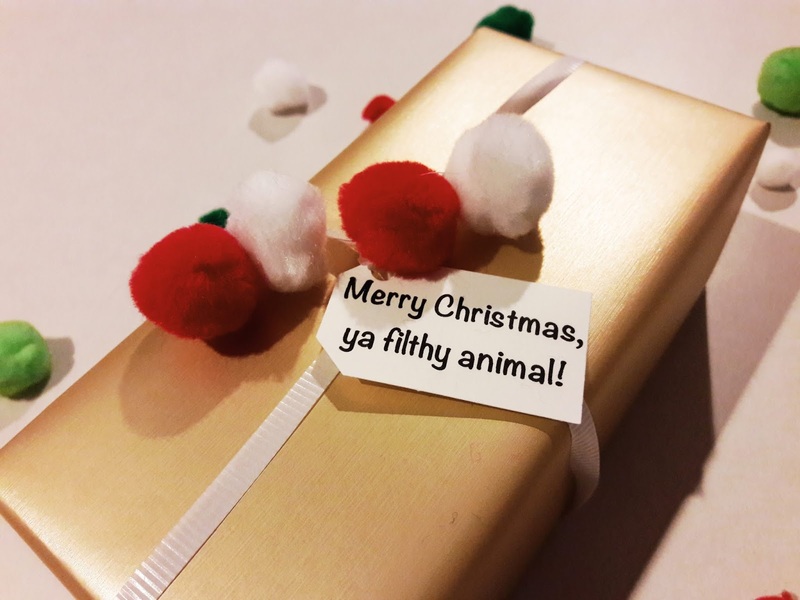 I thought it would be fun to gift someone their present with a personalized gift tag featuring a Christmas movie quote inspired by them. 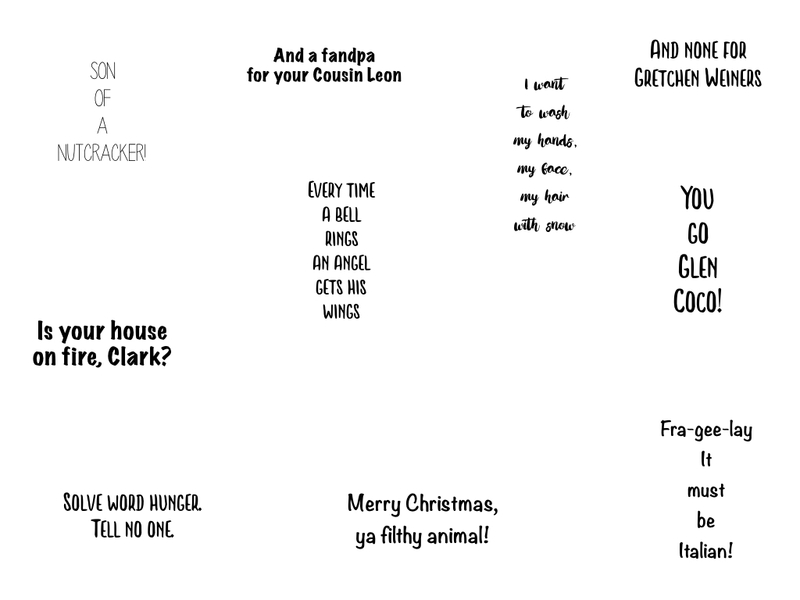 To start, think of some quotes that would be perfect for the people on your gift list. Type the quotes up on your computer. 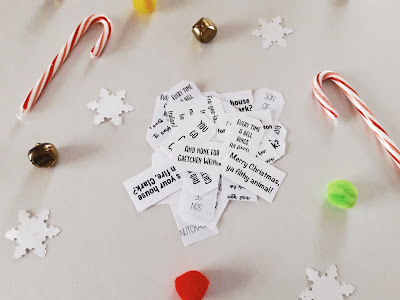 Using your tag punch or scissors cut the quotes out into a tag. 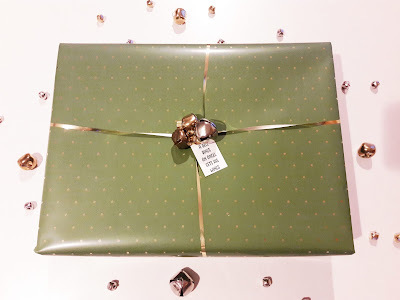 Punch a hole into the tag to create a place for your ribbon to fit through. Slip your ribbon through the hole. Tie the tag to your gift. I kept my quotes very simple as I wanted to add more to them when they were on the gift. For instance my dad's favorite Christmas movie is It's A Wonderful Life. 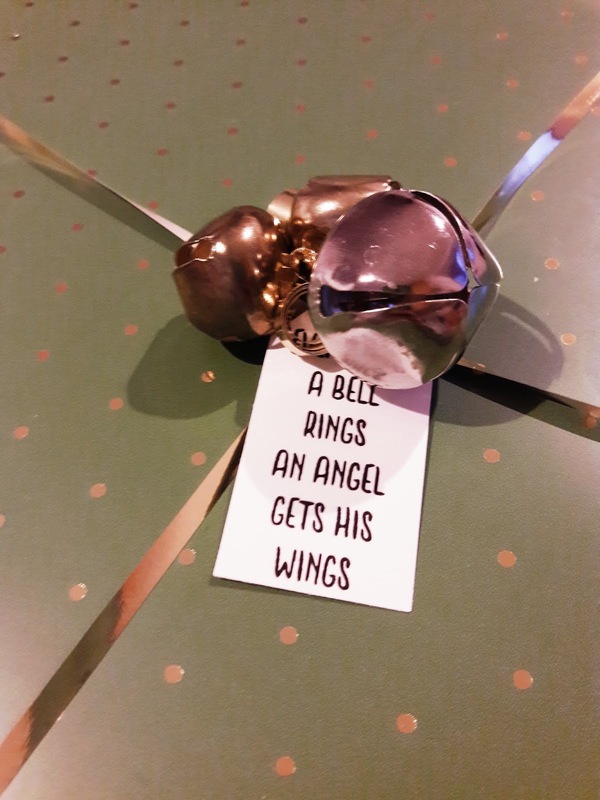 Even if you haven't seen this movie you are probably familiar with it's line "Every time a bell rings, an angel gets his wings." Adding some jingle bells with the tag was a must. We want all the angels to get all there wings. When thinking of Kevin McCallister snarling his lips and mouthing "Merry Christmas, ya filthy animal!" two things came to mind. And two, all the pom pom beanies Macaulay Culkin rocks in the movie. I thought adding some pom poms to the gift would be an appropriate way to honor both. I know technically Mean Girls is not a Christmas movie. But I think we can all agree that the Christmas scenes from this movie are iconic. 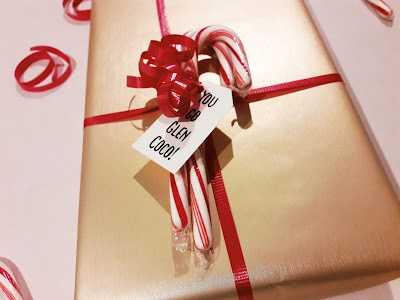 Obviously I had to create a tag with the famous "You go Glen Coco!" line. In the movie candy canes are being passed out during the scene and Glen Coco happens to get four which encourages the epic line. 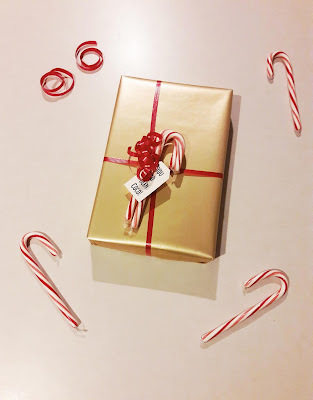 Adding some candy canes with the tag was the perfect touch. If you'd rather spend time making the tags more detailed on the computer go for it! You can use different colors, fonts and sizes. I am not technologically savvy at all. I usually just type anything I want to print in Word. Here are my tags if you would like to use them. I'm sure you could do better. They are so simple you can add just about anything to them or they work just fine on their own. 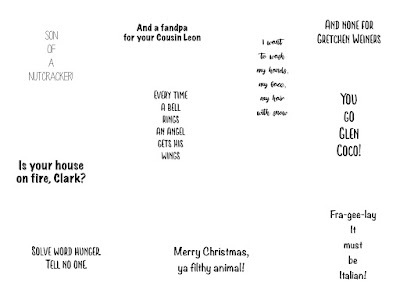 Each one of these quotes brought back a special memory with my loved ones. I hope they love it just as much as I do! 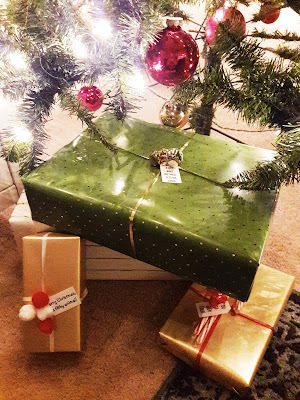 I can't wait to get the rest of my gifts so I can wrap and add more tags to them.